Panelists spoke about the FBI's current counter-terrorism efforts. At the 2008 Republican Convention, two Texas boyhood friends were accused of domestic terrorism. Better This World is a documentary film that follows David McKay, 22, and Bradley Crowder, 23, who befriend a radical activist before their arrest months later. The film illuminates the ripple effects of the War on Terror and its impact on civil liberties and political dissent. On Wednesday, Global Journalist and the True/False Film Festival teamed up at Ragtag Cinema for a screening of the documentary film Better this World. A panel discussion followed the screening with the film's co-director Katie Galloway, Harper's journalist Petra Bartosiewicz and MU law professor Christina Wells. 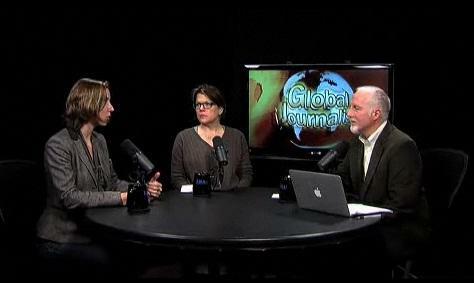 Global Journalist spoke with the panel to discuss the making of the film, First Amendment rights, the journalistic implications near and abroad in a post-9/11 world, and more.